Custom vinyl for case modding?? Discussion in 'Case Central' started by umboma, Oct 21, 2018. Does anyone know of anywhere that does custom vinyl printing? I'm looking to purcahse the NXZT 500 in white, but want to make it my own and not so plain. below is kinda what i'd like. 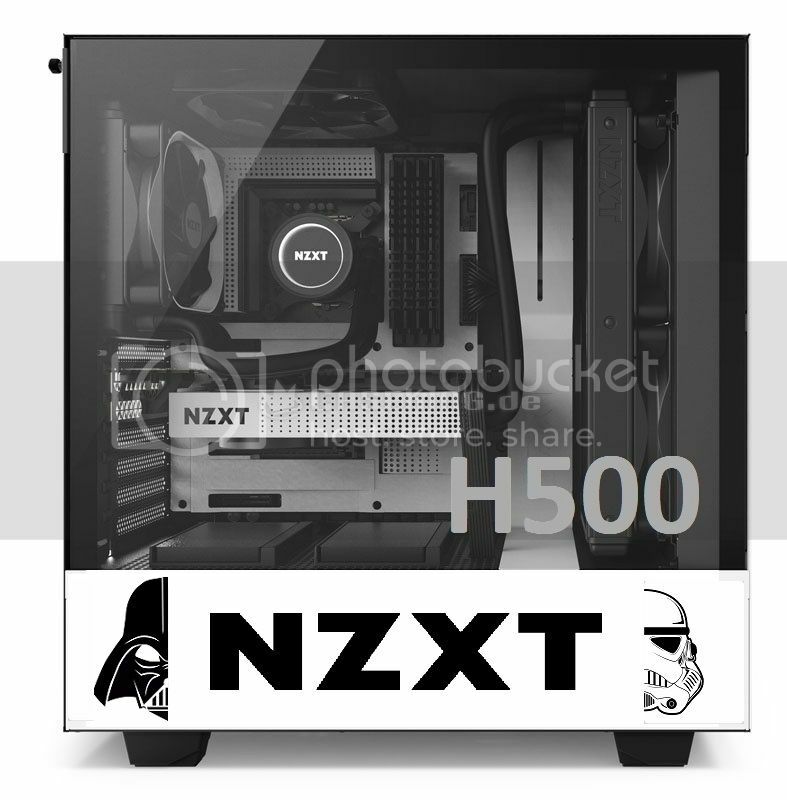 The H500 would be on frosted vinyl, so it's semi transparent on the glass panel. All this is just a thought at the moment not 100% finished, I might not even go with a StarWars theme, just looking at idea's and more importantly looking to find a good place that does custom vinyl printing. Anyone with a vinyl printer could do that for you especially as you've already designed it, look on Ebay and send over your layout shouldn't cost anymore than £5 - £10 for what you've put in the picture so far. That could be a good shout, I've found companys that do vinyl printing but on a mass scale, shop windows and the like, what i want is no more then 3 to 4".